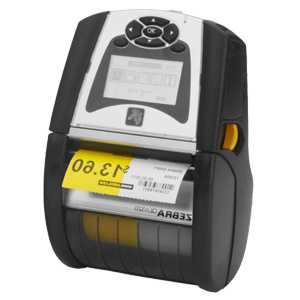 The QLn series of direct thermal printers has been designed with the most advanced technology in rubberized over-molding to maintain robust construction and minimal weight. With center loading media, battery monitoring and an LCD display, these printers provide user-friendly options to keep your business moving. QLn series mobile printers enabled with secure wireless options are easily integrated into your infrastructure. Just a glance at the LCD, and you can read your network settings, or check the communications status. In addition, each printer can be assigned a unique IP address for monitoring over the network, and messages can be sent to the printer using the POP3 functionality. All of these features make the QLn printer an integral part of your network environment.